Axxess Marine specialises in Marine Communications, 4G/LTE, VSAT and SatTV, hardware, antennas and installation for Yachts, SuperYahcts, Cruise Ships, River Cruise Lines, Commercial Shipping and the Oil Industry in the Caribbean, Latin America, U.S., Canada, Bahamas, Mediterranean, Europe, Asia, The UAE, Australia (Trans-Tasman) and beyond. e3 Systems is a leading communications integrator and solutions provider for the marine industry. It connects yachts globally through a diverse portfolio of services including VSAT, Inmarsat and 4G and is the exclusive superyacht distribution partner for Kymeta communications solutions. The company operates from the Mediterranean and the USA with partners worldwide. Chippy-Fine Yacht Woodwork has been in operation for 33 years providing top quality workmanship, reliable service at reasonable prices, all in a timely manner. Focused primarily on woodwork they will do any job from interior joinery, complete re-decking to rebuilding of spars. Chippy has also undertaken refit work on many well known yachts in the industry. Boat International is the global authority in superyachting, celebrating the yachts and the life that comes with them. We publish the world’s best superyacht magazines and luxury books, organise high quality events, and provide digital media services and data to owners and professionals in the superyacht industry. Our products are targeted to deliver buyers, sellers and operators of superyachts to builders, brokers and service companies that operate within the global superyacht market across all media types. Dockwalk is the number one international monthly magazine for professional crew, celebrating the life of superyacht captains and crew since 1997. Dockwalk entertains, informs, and, above all, helps crew pursue their chosen career by tackling the hot issues, delivering essential information, and offering a serious technical element for captains and engineers. Boat International US The sister title to Boat International for the North American market, Boat International US Edition is the leading magazine for American big boat owners. Originally launched as ShowBoats International in 1983, it has established itself as an indispensable guide for discerning, affluent buyers in the multi-billion dollar US luxury yachting market. Published 11 times a year from Fort Lauderdale, Florida, Boat International US Edition delivers more qualified owners of yachts and UHNWIs than any other luxury yachting magazine in the world. Founded in 1987, the Florida Yacht Brokers Association was established to unite those professionals engaged in the practice of buying and selling yachts in the state of Florida. 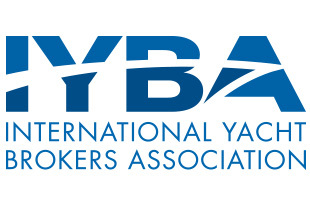 Today, FYBA is a statewide (and beyond) association which has grown into one of the world’s largest organizations of yacht brokers and charter brokers with over 1100 members. Each member is required to abide by a code of ethics to protect the public against fraud, misrepresentation, or unethical practices in the yacht brokerage profession. Carbon offsetting counteracts the greenhouse gas emissions from your engines, tonne for tonne, with equivalent emission reductions from green energy projects. Your offset payment provides essential funds to the projects and in exchange the emission reductions are allocated to your yacht through our documented system. The convenient, inexpensive "pay as you go" service is calulated from the quantity of fuel that you specify, and no equipment is needed. Your Certificate can be personalised for prominent, eco-aware clients worldwide. Roaming Expert provide mobile roaming solutions tailored to the specific needs of the yachting industry. We have built 3 solutions, crew tariffs, data only tariffs and boat plans, ensuring that they are affordable, and flexible, ideal for sailing around the world. Visit our site www.roamingexpert.yachts for full tariff details. Marina Casa de Campo is a private fully equipped marina, with an area of 90,000.00m² holding 350 slips ranging from 30 to 250ft. Single and three phase power supply, water, 2 fuel stations, on site customs and immigration, mooring assistance, personalized service, shipyard, yacht club, on site heliport and international airport 10 minutes away. We are open and ready for this winter season. Contact us for more info. Marine Power Services (MPS) is located between English and Falmouth Harbours. Owners Steve & Janetta Miller continue to expand their capabilities to service their growing market clientele. MPS are the authorized dealers in Antigua for Northern Lights, Volvo Penta, Caterpillar and Yanmar. 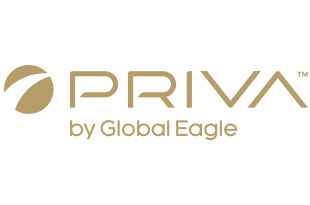 MTN is now PRIVA by Global Eagle, delivering customized connectivity and entertainment solutions to ultra-high-net-worth individuals across their assets at sea, on land, and in the air. PRIVA’s products and services are engineered to focus on the end-user quality of experience. Clients benefit from Technical Concierge Centers, solely dedicated to the special demands of PRIVA’s VIP clientele. The Admirals Inn is a beautiful historic Inn within the walls of Nelson’s Dockyard with its own waterfront areas and courtyard. The Inn has 18 twin or queen-bedded rooms, looking over the harbour or with a small patio with garden view. The restaurant offers full a la carte menus for all meals. The Worldwide Yachting Association is an internationally renowned professional organisation, founded in 1984, whose members are represented on all levels, and in all fields of brokerage, charter, management and construction of superyachts. By working with a MYBA Company, yacht owners and charterers can benefit from the safeguards that have been established and be assured they are represented by experienced professionals. CYBA members share the responsibility of continuing to promote professionalism within the charter yacht industry; to continue to set higher standards; to continue to provide educational programs; to foster greater cooperation between brokers and others in the industry, and to help develop new policies and procedures that benefit the charter yacht industry. AYCA – founded in 1986 is an industry group for full-time, professional yacht charter brokers. Our membership in committed to the highest standards of excellence to ensure that our enterprises are legal, safe and enjoyable for the customers that we serve. AYCA charter brokers and charter managers are already well established with longtime experience.